Widely used to produce heavy load crankshafts, connecting rods, crank pins, gears, rollers, etc. Used in mechanical processing, petroleum, water conservancy, wind power, construction and other industries. Mainly used in petroleum extraction, natural gas transmission, thermal power and other industrial fields. 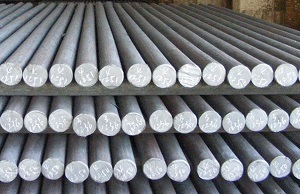 Used for extrusion die and pressure casting die. Widely used in automotives, wind power, and kinds of engineering machinery industry. Used in mechanical parts, gear shafts, hot-working mold steel, valve body and pressure containers. Widely used in automotive, wind power, and kinds of engineering machinery industry. Making axle, gear, attaching parts and construction parts of automotives, mining machines, engineering machines, machine tools, lifting equipments , etc. Mainly used in the ball grinder crusher used in metallurgy, mining, cement, electric power, etc. Making die equipment thimble and roller shaft. Spring for railway vehicle, automotive and engineering machinery, etc. Making high-quality hand tools and hardware tools. Making bearing ferrules, steel balls and quills. Mainly used for the welding of electric closed containers.